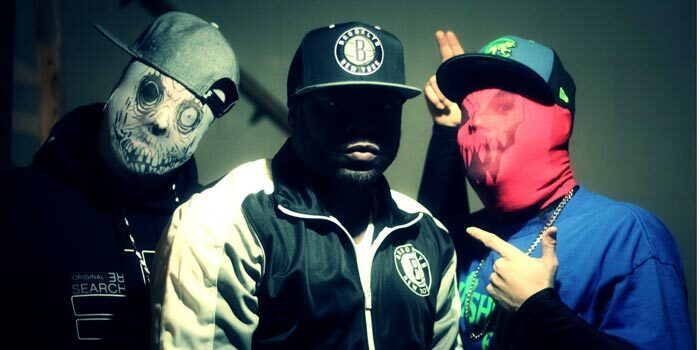 Upshot will be at Downtown Eatery and Spirits after the Funkdafied Wrestling event. 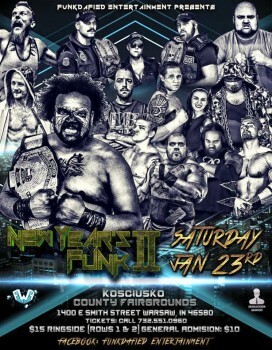 WARSAW — Funkdafied Wrestling Federation presents New Year’s Funk 2 at the Kosciusko County Fairgrounds. Show starts at 7 p.m. Jan. 23 and tickets are $10. Featuring: Kongo Kong, The Police Department, Serial Killer Jack Thriller, The Iron Demon Shane Mercer and many more. Family friendly event, all ages are welcome. Check out the event on Facebook. UpShott presents the Funkdafied Wrestling Federation Hip Hop After Party at Downtown Eatery and Spirits in Warsaw. Featuring: DJ Barry Eppley, UpShott, Unfallen C.I.C., Doc Smooth, Linc, Flostorm, Adam The Influence, Gavin Goodrich. There is No Cover Charge and the show starts at 10 p.m. Must be 21 and over with photo identification to attend. Check the After Party Event on Facebook.